We just finish deploying our new content update "1.5 - Merry Christmas" to all platforms. It's available now for PlayStation VR, Oculus Rift, Steam and Viveport. 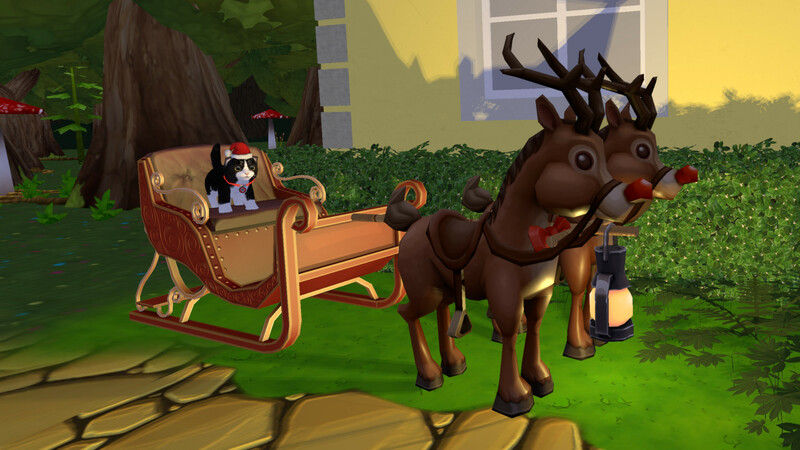 The update completely redesigns the existing christmas event and brings some more Christmas stuff to all players. After going through the setup of the game, you'll notice that the Entrance Area is now decorated with lots of plastic christmas decoration items and some cheery christmas music is playing. Also you'll find a bowl with cookies in front of you. These cookies are not decorative only, they can be eaten by your little furball. But don't let the kitten have too much of them! The living room has also received new decorations. You'll find a new christmas tree and a new fireplace next to you. Finally, don't forget to visit the bear shop. You can get a santa hat for free by looking on top of the wardrobe. As you can see, the shopkeeper has already taken one of them. All together: This is may not be our largest update, we know that. 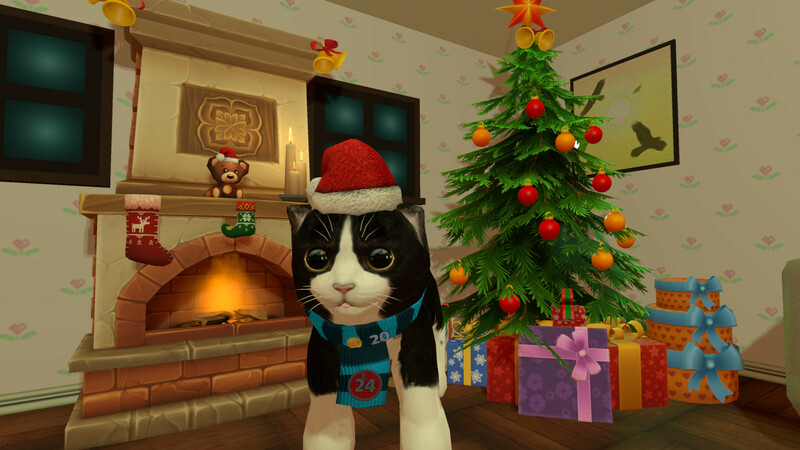 We just wanted to bring some light into your kitten's home during christmas time, while we are working on the big update for early 2019. 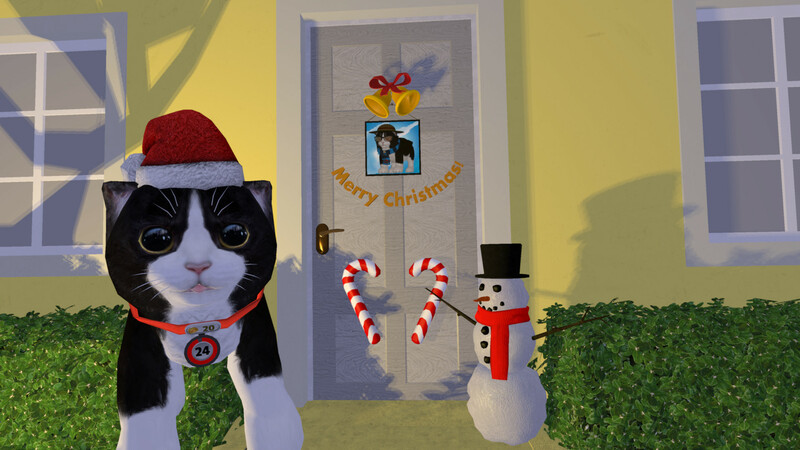 Psst: As a small gift: Konrad the Kitten is currently on Sale for PlayStation VR (US) and Viveport! For a limited time, you can get it for half the price!